Indonesians will go to the polls on Wednesday 17 April to elect a president and vice-president, as well as a weak 136-seat Senate and a powerful 575-seat House of Representatives. They will also elect their provincial legislatures and local councils. Polling indicates that the incumbent President Joko Widodo (also known as Jokowi) will be returned as president with the conservative Islamic cleric Ma'ruf Amin, former Chairman of Nahdlatul Ulama (NU, Indonesia's largest Islamic organisation), as his Vice-President [see RLPB 469 (22 Aug 2018)]. However, the gap between Joko Widodo and his perpetual rival, former Suharto-era military commander, Prabowo Subianto, has narrowed. Subianto and his running mate, the billionaire businessman Sandiaga Uno, have pitched their message not only to the poor who feel left behind by Jokowi's pro-development and pro-foreign investment policies, but to the more hard-line and intolerant, fundamentalist Islamists. Pundits expect the race to be not only close, but profoundly polarising. Jakarta-based Amanda Hodge is the South-East Asia correspondent for The Australian. She comments that the differences between the two presidential candidates was on display in the two political rallies held on Sunday 7 April. 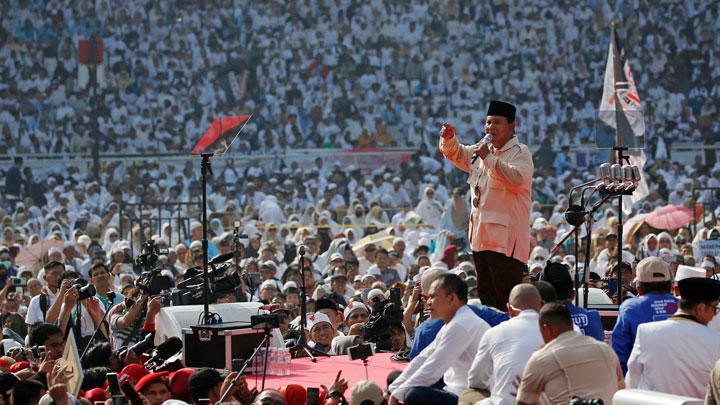 In the morning, Subianto delivered an 'angry sermon against corruption and foreign plunderers to a sea of Islamic white'. Meanwhile, 'Jokowi's afternoon carnival celebrated a vast diversity of ethnicities, races and religions.' Hodge comments, 'Now, as in 2014 when the two men first faced off, many of Indonesia's ethnic and religious minorities fear under Prabowo a slide back into the authoritarianism of the Suharto era and a rise in Islamic chauvinism.' Even former president Susilo Bambang Yudhoyono (SBY, who is backing Subianto) has expressed fears 'that this nation will indeed be divided into two opposing sides who will forever be in conflict with each other'. Considering polarisation is but the inevitable consequence of Islamisation (see After Saturday Comes Sunday, page 62), SBY's fears are not only reasonable, they are probably profoundly understated. Subianto rally Sunday 7 April; crowd estimated at 'perhaps 150,000'. Of great significance for the Indonesian Church will be the election of provincial and local legislatures. This is because some of the most repressive and discriminatory, Sharia-based policies exist as provincial and district bylaws. In 2008 the head of the Constitutional Court called for Sharia bylaws to be scrapped on the grounds that they are unconstitutional and a threat to 'our national integrity'. Despite this, Sharia bylaws have only increased as more and more district legislators are coming from Islamist parties. 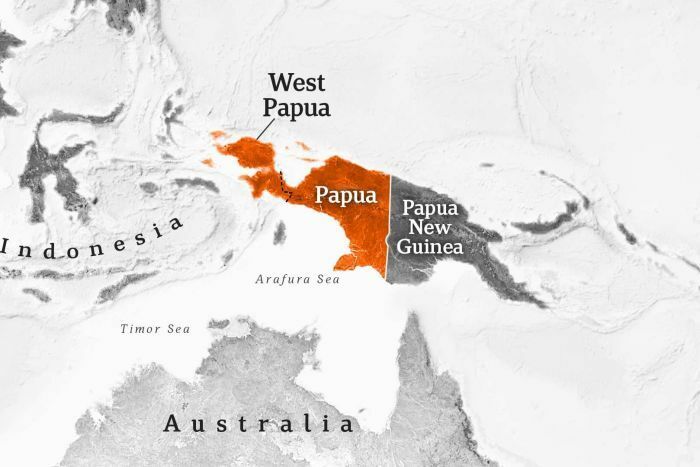 Since its launch in December 2018, a military crackdown in the central highlands region of Indonesia's eastern Papua Province has forced some 32,000 mostly Christian indigenous Melanesian Papuans to flee their homes. Many are struggling to survive in the jungle where at least nine women have given birth. In the Mbua district, two school children were shot dead by Indonesian security forces (TNI). Across the Nduga region, the TNI has damaged or destroyed at least 34 schools and churches; it has also seized the SION GKI Mapenduma church for use as a military base. Reports and photos have emerged showing victims with deep burns. Canisters have been found which lend support to local claims that the TNI has been dropping explosive devices containing white phosphorous from helicopters. Naturally the TNI denies this. In fact, the TNI is denying there has been any destruction at all, claiming it is all a 'hoax'. Benny Wenda, Chairman of the United Liberation Movement for West Papua has urged all Papuans in Indonesia to boycott the upcoming national elections. 'We respect Indonesia's right to hold elections in its own territory, but we will oppose the elections of the coloniser when they are forced upon us. We have tried participating in the elections of the colonial master before -- but we are still killed, tortured and discriminated against every day.' Tensions are escalating. These are watershed days for Papua. * awaken Indonesians to the dangers of intolerant fundamentalist Islam; may they be awakened as to what they will lose in the way of diversity, culture and harmony if they continue down this path of polarising Islamisation. * lead Indonesians to vote for candidates who respect the traditional Indonesian values of 'unity in diversity' (Bhinneka Tunggal Ika) and 'pancasila' (which emphasises religious pluralism, social justice, civility, unity and democracy). * bless his precious Church with wisdom, insight and grace in the face of escalating hostility and Islamic nationalism. * intervene to effect a breakthrough regarding the situation in Papua; may human rights be addressed; may the mostly Muslim and Javanese Indonesian military be forced to withdraw; may the mostly Christian indigenous Melanesian Papuans be entitled to have a say on their future. May the Lord raise up friends among the nations and prayers throughout the Body of Christ. 'Truly, truly, I say to you, whatever you ask of the Father in my name, he will give it to you.' (Jesus, in John 16:16-24 (specifically verse 23). Indonesians will go to the polls on Wednesday 17 April to elect a president and vice-president, a Senate and House of Representatives, as well as provincial legislatures and local councils. After decades of Islamisation, this election might be the most polarising yet with Islamic conservatism emerging as pivotal. Please pray that God will lead Indonesians to vote for candidates who respect the traditional Indonesian values of 'unity in diversity' and 'pancasila',which emphasises religious pluralism, social justice, civility, unity and democracy. Since December, some 32,000 mostly Christian indigenous Melanesians in the central highlands Nduga region of Indonesia's eastern Papua Province have been driven from their homes by Javanese-Muslim military violence. Demanding the end of Indonesian occupation, indigenous Papuans are preparing to boycott the elections. Tensions are soaring. Please pray.